Run and gun action game currently available at 20 percent discount. 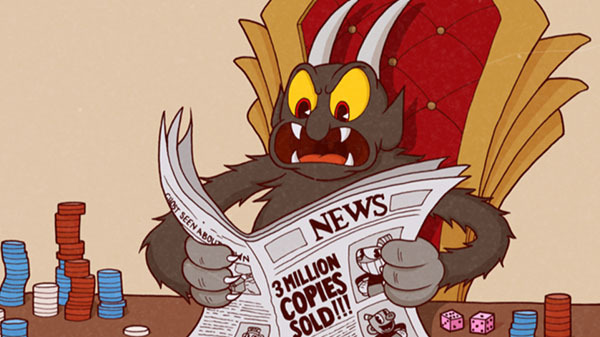 Total sales for Cuphead have exceeded three million units across Xbox One and PC, developer Studio MDHR announced. To celebrate the milestone, Cuphead is available for $15.99, 20 percent off its standard $19.99 price point, for the next few days on the Microsoft Store and Steam.